Even though a runny nose can seem such a small and trivial thing to have to experience it can feel like a huge hurdle whenever one comes about. Just last week I myself had a runny nose and it was horrible. The fact that you can’t stop sneezing and whenever you do you get a burning sensation around the top of your head. You grab for the tissues but no matter how many you have you just cannot beat the horrible feeling of a constant and irritated runny nose. I did manage to get through the unpleasantness of my runny nose, however, I decided next time one comes about I want to be prepared. It’s with this in mind that I researched the best ways to get rid of a runny nose so that I could use these methods next time I had one. In this post, I’ve listed the best ways to stop a runny nose and help you get back on track to healing. It doesn’t matter if you’re at home, at school or even at work, you should be able to find at least one remedy on this list that you can try! Reduces the appearance of fine, dry lines. 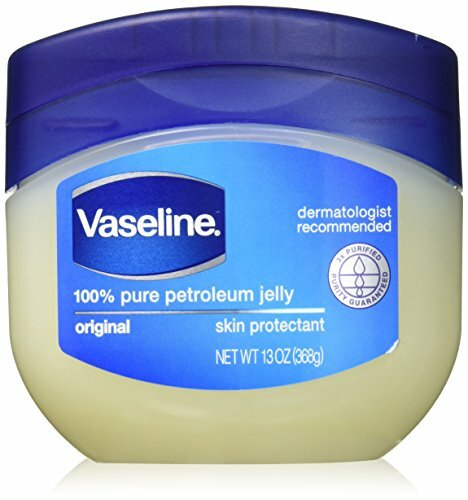 One of the must-haves in your ‘Stop a Runny Nose’ toolkit is to have a pot of petroleum jelly. Make sure that the area between the bottom of your nose and the upper lip area is constantly lubricated to avoid drying out the skin. Because of your runny nose, that area will get red and sore if you are always wiping your nose during your cold. I now always have a pot of Vaseline stored just in case I get hit with a runny nose. Since I’ve learnt this trick I have never had that typical red and sore nose look that often comes with a cold. It really does wonders and eliminates one less hassle in your quest to stop your runny nose. Many times we obtain a runny nose due to cold weather. One basic idea is to try to reverse the process by warming ourselves up. A very common way of getting rid of a runny nose is by taking a nice warm shower. The hot steam produced by the shower is known to be very helpful at relaxing your nasal glands and stopping the flow. Standing under the shower and letting the hot water flow across your body throughout your head and facial area will give you the right amount of heat. You may also notice that your breathing may improve too. If you do not wish to take a shower or, the shower trick did not work as effectively as you wanted, there is another way you can use water and steam to your advantage. Place a bowl of water in the microwave and let it heat up. Be careful not to burn yourself when using the water or while removing it from the microwave. Place the bowl on a sturdy surface, and sit with the bowl directly under your face. This will allow the steam to accumulate inside your nose and spread around the face where the nasal tissues lie. You can use the hot towel method. Place a towel in some warm water, then place the warm towel over your face and just sit back and relax. Be sure to make sure the towel isn’t too hot that it burns your face! This method is very useful and is actually used to help with a cold as well as congestion which is the cause of a runny nose. After a short time with the hot towel over your face, you should feel relief. Try blowing your nose afterwards to help clear any last mucus. Ginger is used for many different things such as in tea and in many recipes, but you can also use it as a remedy. Ginger is known as a natural remedy for a runny nose, but you won’t have to do anything with the ginger except chew it! Chewing the ginger will release specific flavours, nutrients and a particular odour that when combined help stop a runny nose by fighting against the germs causing your cold. The ginger will help boost your immune system which won’t only help with a runny nose but will keep you safe from getting other sicknesses in the future. Eating ginger regularly is the best way to get the desired results. However, be careful not to consume too much at one time because as they say too much of a good thing is a bad thing and it may make you sick! 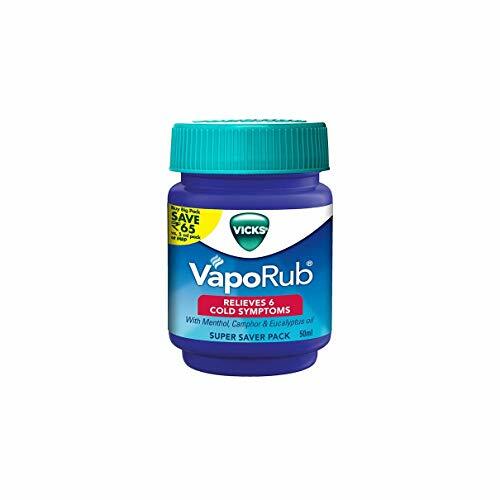 There are various vapour rubs out there that are made specifically for keeping your body cool and for relaxing your muscles. Some of these rubs can also be used as a remedy as well! Take some of the vapour rub on your fingertips and apply liberally under and around your nose. There is a lemon tea formula which you can create at home that if taken often, will yield great results. This formula is a mixture of salt and lemon tea. You can choose to buy original lemon tea or make it yourself. If you choose to make it, heat up some water and pour the lemon juice into it, add a small amount of salt to it, just enough to give it a nice weak salty taste. This is a drink that should be drunken often as it has many benefits. Be careful not to consume too much of this solution, particularly the salt. Drinking too much salt can almost always lead to throwing up. While many might believe that spicy food can cause problems and even cause your nose to run, it can actually do the exact opposite. Many people today are unaware of how much spicy food can help you. Eating spicy foods such as peppers can help you with congestion problems too. The spicy food has various properties that is known to help you keep your mucous thin, when its thin it will allow for more airflow through your nose, so if you have a runny nose as a cause of a cold, this can help. If you do not know what this means I’ll put it bluntly, this means pouring a solution of salt and water down one nostril so that it drains out the other nostril. Sounds fun doesn’t it!? I should know as I’ve written about the Nasal Irrigation process. The idea behind its usefulness is that salt water can help calm and remove irritants that line the nasal passage and give your nostrils a gentle rinse. The great thing about this method is that all it requires is salt, water and a way to pour or drop the solution down your nostril. You can use a Neti Pot or a Neilmed Sinus Rinse Kit to help you do that. The most common oil used to help you in this situation would be mustard oil. Mustard oil is take from the same plant that makes mustard seeds (Duh!). It isn’t very hard to pick up a bottle of mustard oil and you should be able to go down to your local supermarket and pick one up. Once you have acquired this oil, you must warm it. As this is oil, it may get hot very fast so the best thing to do is place it in a small container and heat it over a small flame for a short amount of time. A thermometer will be appropriate to safely check temperature. Once it’s warm enough, using a dropper or another similar tool, lay your head back and pour just one drop of the oil into one of your nostrils. Do the same step for the other nostril after the oil has been absorbed. Be advised that the scent may be strong and it may make breathing a little more difficult for you. One drop will away be enough do not use more. Another oil that can also be used is Eucalyptus Oil. There are various ways you can use this oil, you can place the oil in your nose like the mustard oil, either by using a dropper or place it in a tissue and holding it inside your nostrils and letting it absorb. Heating the oil is not necessary. Good old soup, they say it’s the home remedy that can fix all of your problems, including a runny/stuffy nose! The classic well known soup, the chicken noodle soup can be used to help you out, just by adding some extra ingredients. Adding ginger or lemon, or even cinnamon can also help. These ingredients which are used in many other remedies because of their nutrients, is the perfect addition to the soup. Sit back, relax and eat the hot soup and let your troubles fade away. Making a special garlic soup is also a great remedy. This garlic soup doesn’t have anything but garlic and sugar in it so no need to go shopping for supplies (unless you don’t have either of these two things!) It’s fairly easy and doesn’t take much time at all. You will first need some garlic gloves, after mincing them place them in a pot filled with only a cup of water. The preferred amount of garlic cloves should be 3 or 4 depending on preference of strength. Heat and let the water boil for a while. Then filter out all the pieces of garlic and add some sugar to make it sweet. You can drink this immediately. If you do not want to make soup and you’re feeling brave, you can chew the garlic cloves and it will provide the same results. Garlic is effective because of the garlics antibacterial properties and antiseptic properties however the strong taste and smell may put some people off. Turmeric is a herb similar to ginger which we mentioned above. The best way to use this is to first obtain some linseed oil. If you don’t have any linseed oil you should be able to find it at any super market. Take some turmeric powder and some of the oil and mix them together. After mixing them, put the mixture on the stove and place over a small flame or heat. While it burns inhale the fumes that come from the mixture, doing this for 5 minutes should give you the results that you need. 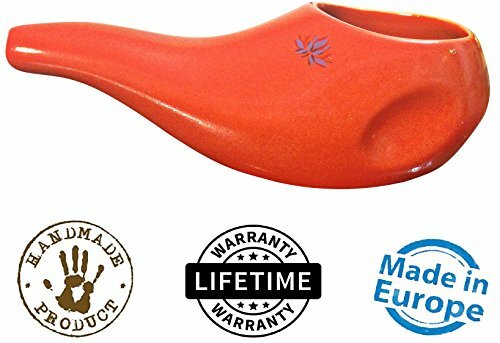 The turmeric powder is also great for so many other illnesses, and was used by the American Indians to treat many ailments. Honey by itself can be very helpful with getting rid of a runny nose, but adding it to honey will make it work even better. Take about 2 teaspoons of honey and mix it in a small amount of honey, also add a tad of lemon to the mixture. Mix this all together with nice warm water and you got yourself a nice tasty beverage. For the best results you can drink this everyday if your runny nose continues. Not only do you have a nice drink but it should also help with your nose congestion. The simplest of them all is just simply drinking water. Water is great in helping you get rid of nasty congestions that might be causing your nose to run in the first place. You can drink hot water to soothe your throat also. If you choose to drink water, you can create lemon water by adding a slice of lemon or even mixing it with some mustard oil or any of the other remedies will help. Having a runny nose can be one of the most annoying things in the world. Not only do you need a boatload of tissues but you may also get a red nose or a red area just above your top lip from all the friction of the tissues. To avoid this I always have some Vaseline on hand to rub in this area at least once every hour whilst I battle my cold. This has helped immensely in keeping that area free from becoming sore. Hopefully your runny nose will pass soon. Just keep warm, by wearing warm clothes or by having a hot soup or shower and you’ll feel much better. Try these tips too to see added benefits! So have you given these a try? Which one worked for you? Or do you have any methods that you feel we’ve missed? Feel free to comment below and tell us! The honey and honey recipe is quite unique though…read it through again.